Every event can be special, but there might be certain social and cultural definitions of special events that people are used to. If you are holding some sort of venue, celebration or fundraiser, they might be classified as events under the special category. If you are planning such a venue, then what you may be looking for is a special events limousine rental to accommodate certain people and present a certain type of style, fashion and elegance to the event. You can kick it up a notch and step up the event with a simple car service that will take on a whole new level of existence with the presentation and impression you make to all those in attendance. If you are have a wedding, you can think of your own celebration as a special event. There is nothing to discount any personal event from being considered special, and when you are looking for a wedding limousine rental, we can also think of it as a special events limousine rental. The word special is reserved for the rare moments, events and incidents in your life that do not repeat themselves regularly. These expectations would also dictate a wedding, as they happen once in a lifetime, and are not generally repeated by the same people over and over. This is when a special events limo becomes more than an exception to the rule. For those in the corporate world, a celebration or a banquet might be a special event where a milestone is reached such as a merger, awards banquet or a large market takeover within the industry. When you are in the market to celebrate such a special achievement, and you are planning on expressing the appreciation and thanks to the staff that made it happen, a special events limousine rental can take on a whole new life. 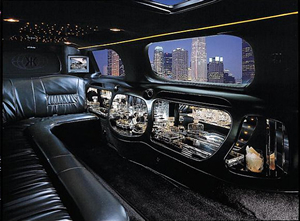 You can furnish some limousine rentals for the corporate staff, directors and officers of the company and welcome them in style to the venue. Even if you are celebrating a personal milestone like a 25-year wedding anniversary, this is a special time that will not be repeated easily any time during the course of your life. Therefore, it will qualify easily for a special events limousine rental, and Toronto Airport Limousines can be the host to such a car service. We can provide you with any customized vehicle, whether it is a limousine sedan, stretch limousine, SUV limousine or a limousine bus. No matter what size venue or size of your party, we will accommodate your ever need and become part of your enhanced experience of pleasure and celebration.